You can do the same thing I am or create your own monthly goal. 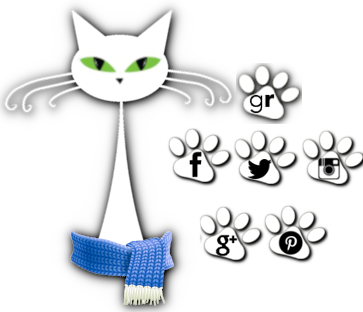 Just create a blog post or add what you're doing in the comments! Alright. I didn't get this one done. 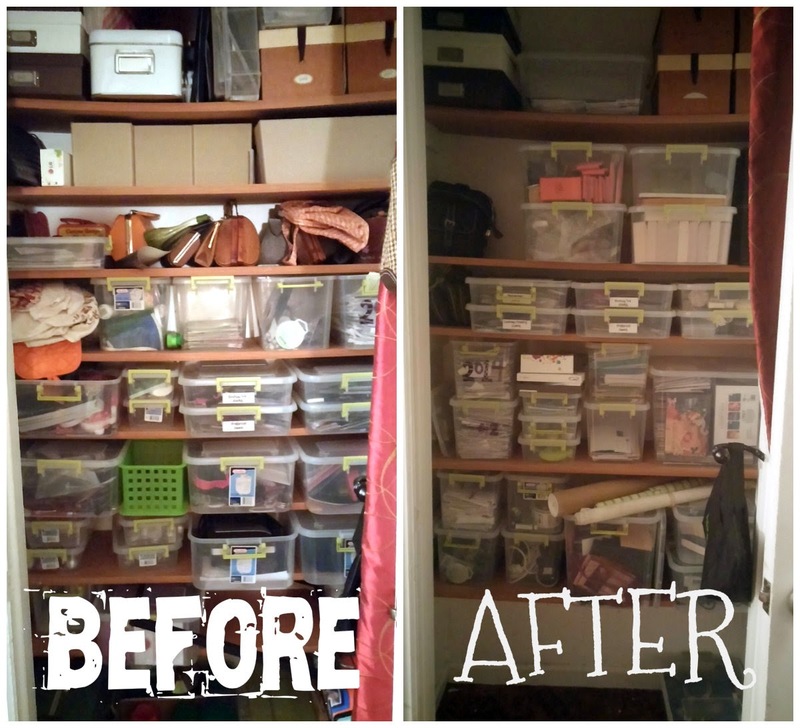 My goal had been to rework and organize all 6 closets in my house. I got a pretty good start but as a lot of yall know July turned out to be very hard month and the herd and I struggled as they battled some kind of attack that was affecting their livers. So everything other than them got put on hold including the closets. I did manage to finish 2 of the 6 closets. It was really amazing and made me feel good to have them sorted. I got rid of a bunch of stuff, cleaned, moved things around, found a few things I'd forgotten about. 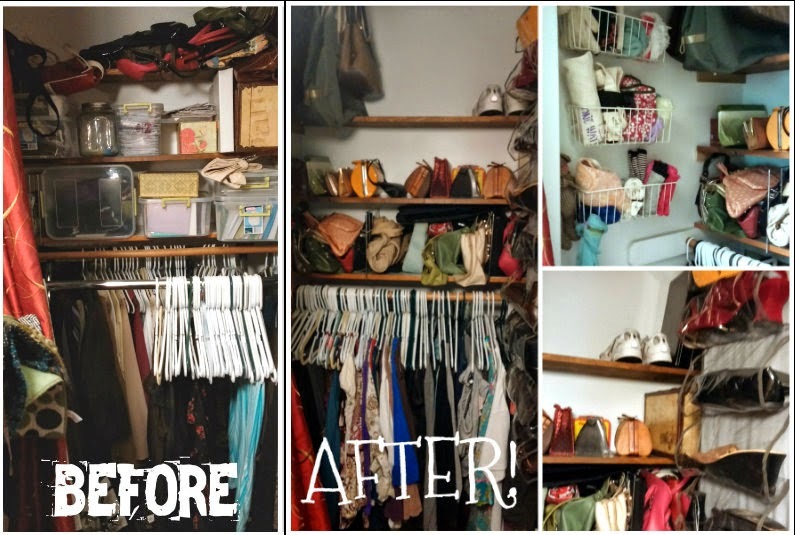 Here are my before and afters from my bedroom closets. I'm going to add the other 4 closets to my August project. This was a big change for me. I have a hanging shoe rack on the right, three shelves that now hold my purses and a couple other items, reduced down to one rack of clothes instead of a double, organized little cubbies on the left that have socks/bags/gloves/etc and then installed a hanging hook system on the ceiling to hang larger bags that tend to fall over easily. I've got one more project of painting a bunch of nobs that will go under the wire baskets on the wall that will hold things like my umbrellas. Pretty much I tupperized this one. Removed a bunch of extras, did some better sorting, and removed a couple shelves so larger containers could fit. Alright in addition to finishing up my closets in August I'm gonna go creative! I'm going to finish one of my cross stitches--I haven't done them in years--and maybe try my hand at a nail polish book mark creation I've seen and been wanting to try. We shall see how that goes! What about yall? Any projects or adventures you're going to try to tackle in August?